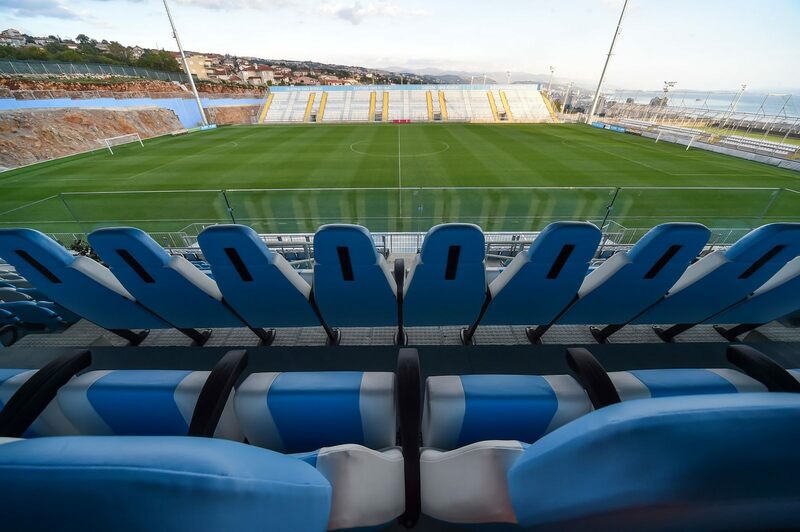 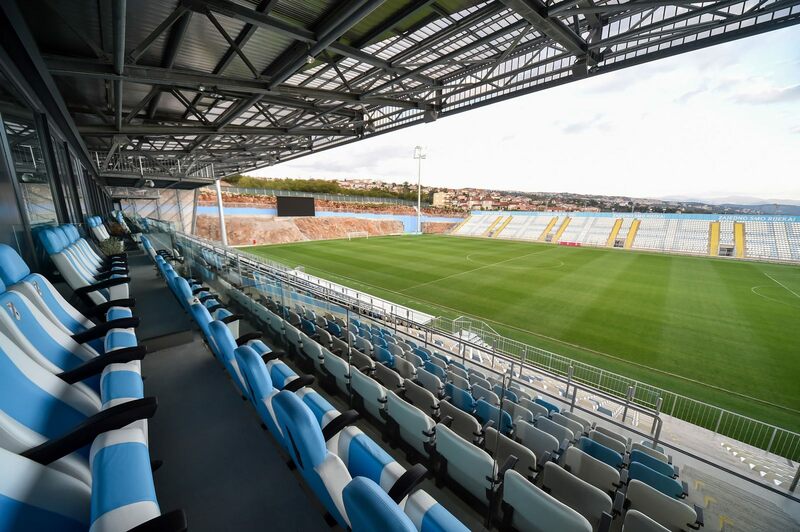 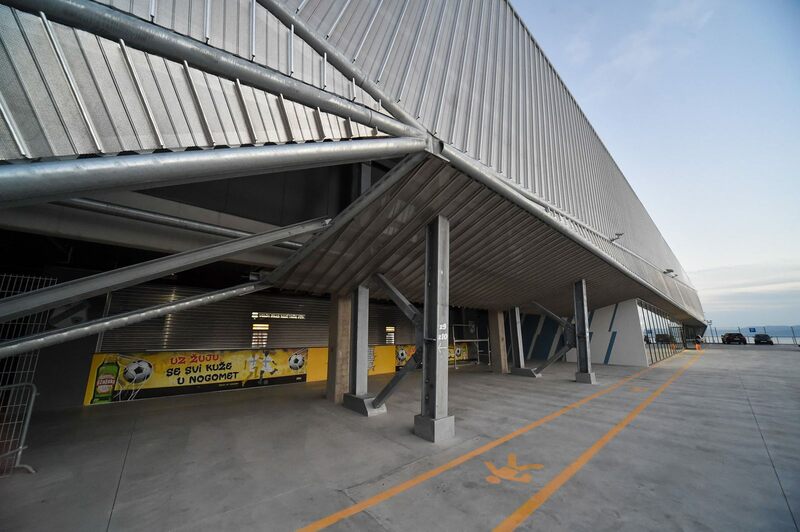 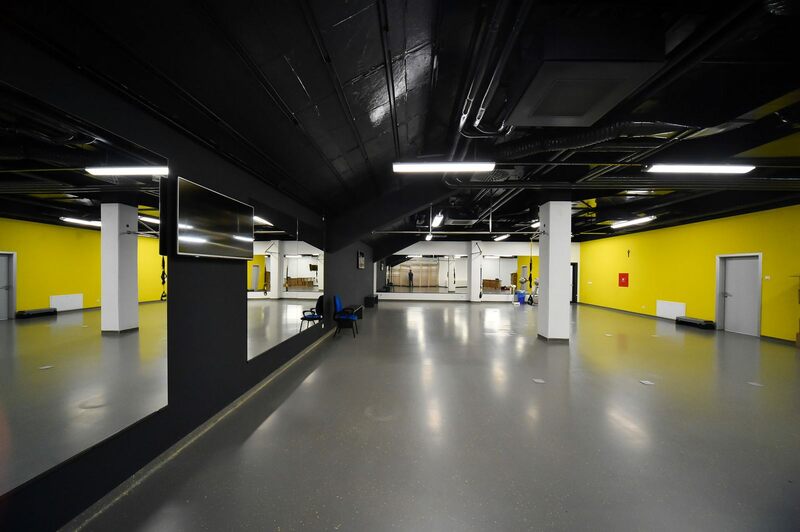 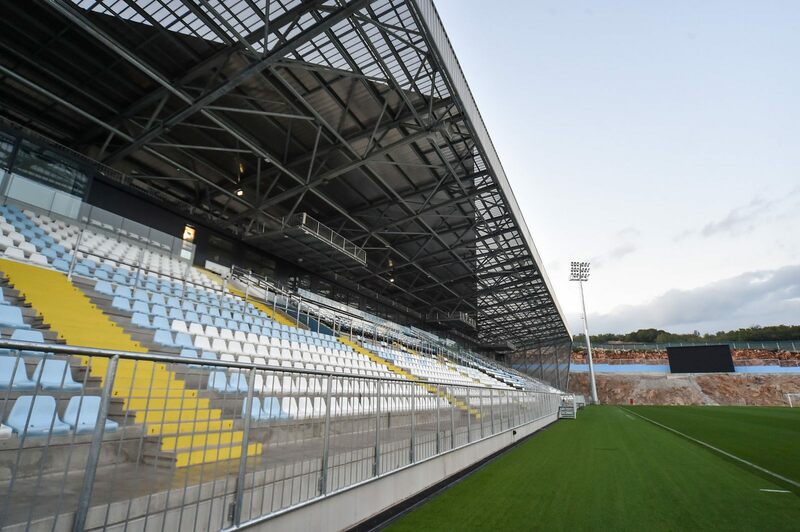 Long-anticipated training complex for HNK Rijeka finally began growing in 2014 as a public-private partnership, engaging HNK Rijeka and the city, which owned 30% of the shares. 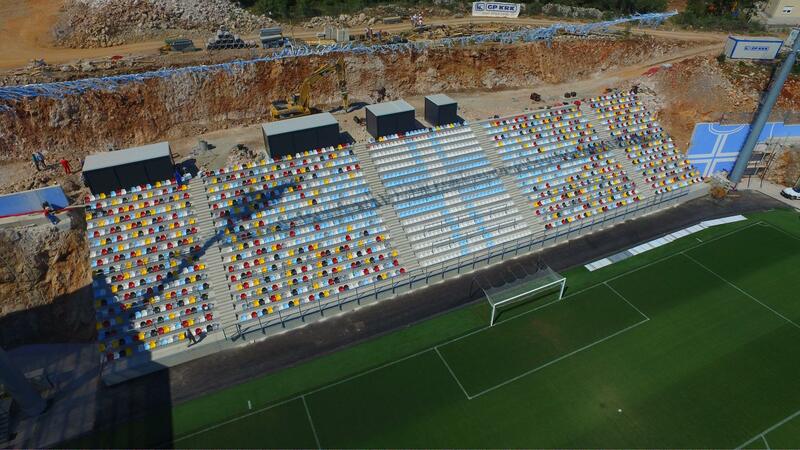 For some €24 million new training/reserve stadium and three pitches (two full-size) were built. This is how much space was available in the constraints of Rijeka’s topography. 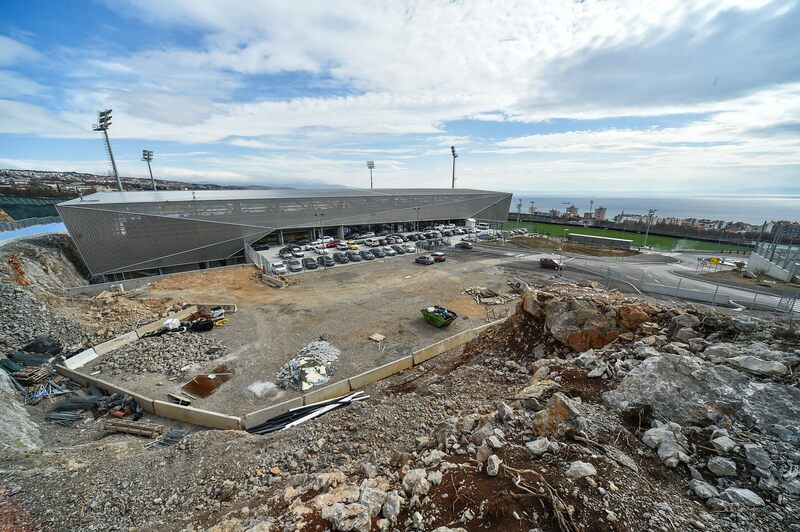 Construction took very short, exactly 321 days from groundbreaking. 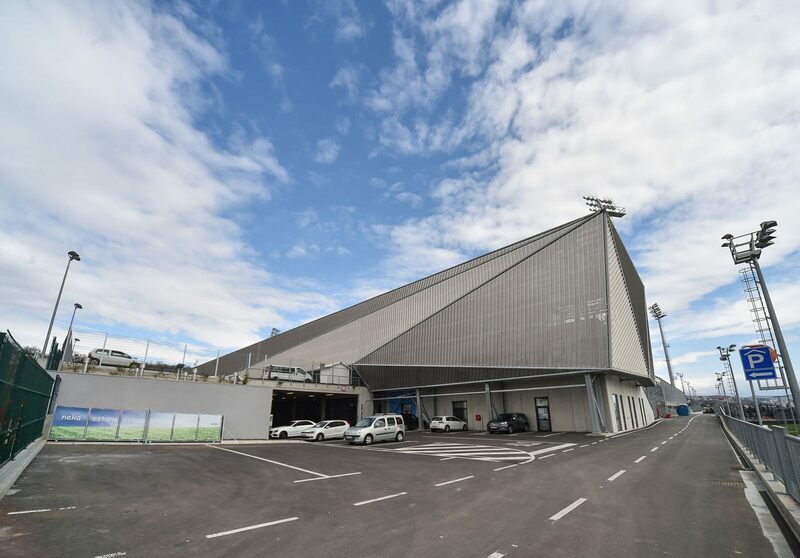 This enabled opening already in July 2015. 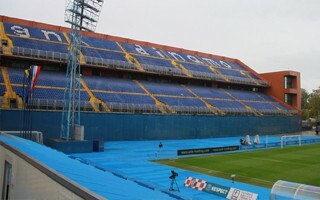 The western grandstand is covered and offers several skyboxes, media facilities and other requirements to satisfy European demands. 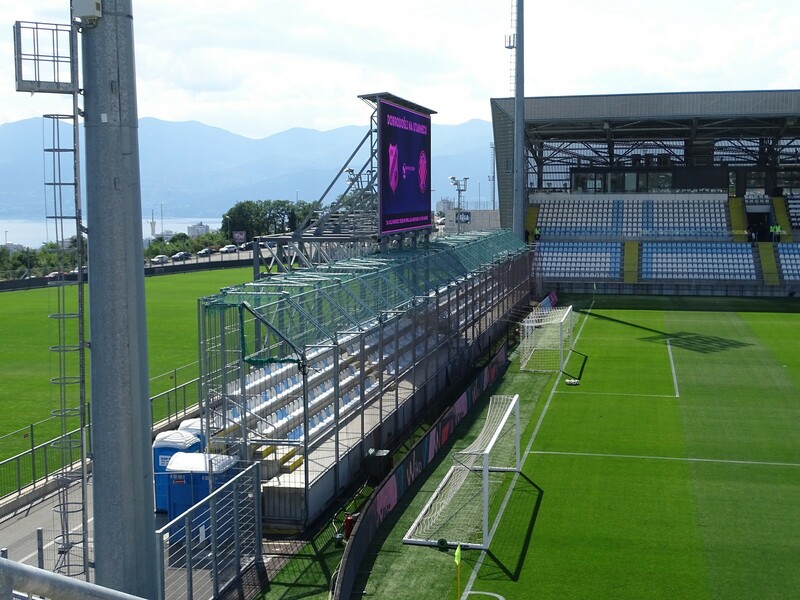 Meanwhile the east side is open and a very modest (and very cage-alike) south stand serves as the away section. 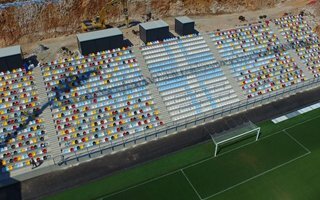 Following inauguration, the project designed by ZDL Arhitekti and managed by Mack Project Engineering underwent further works. 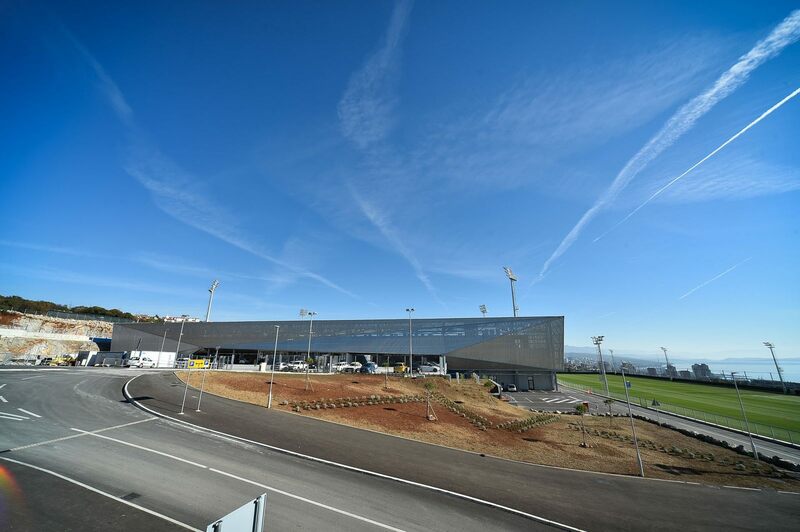 The main grandstand received an aesthetic boost thanks to new outer cladding. 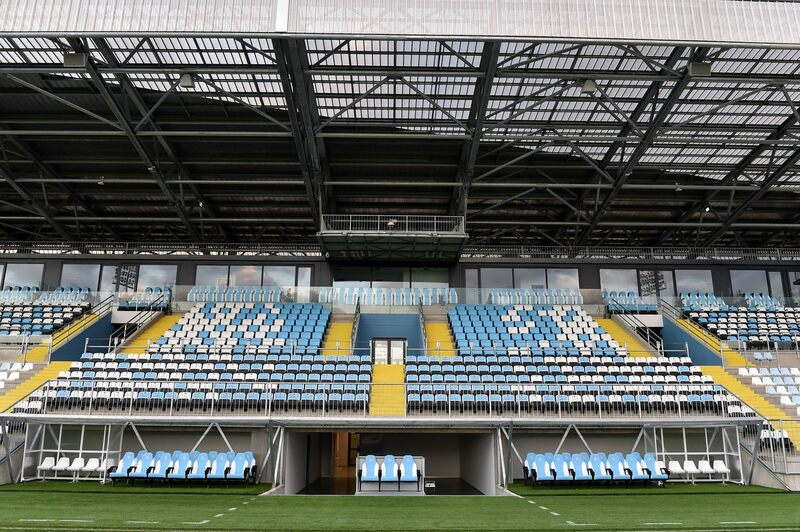 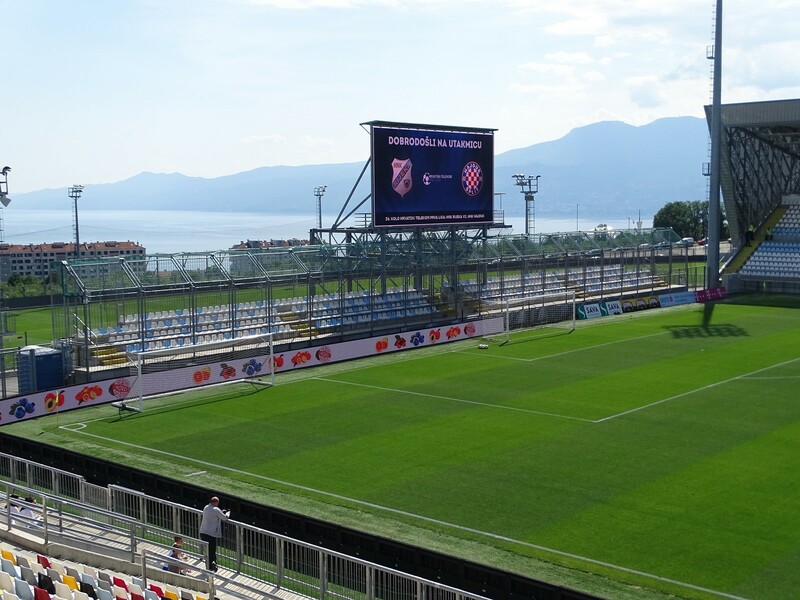 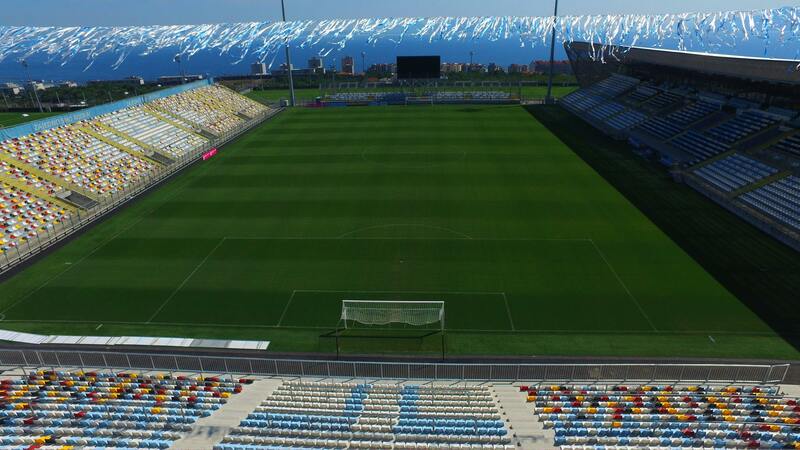 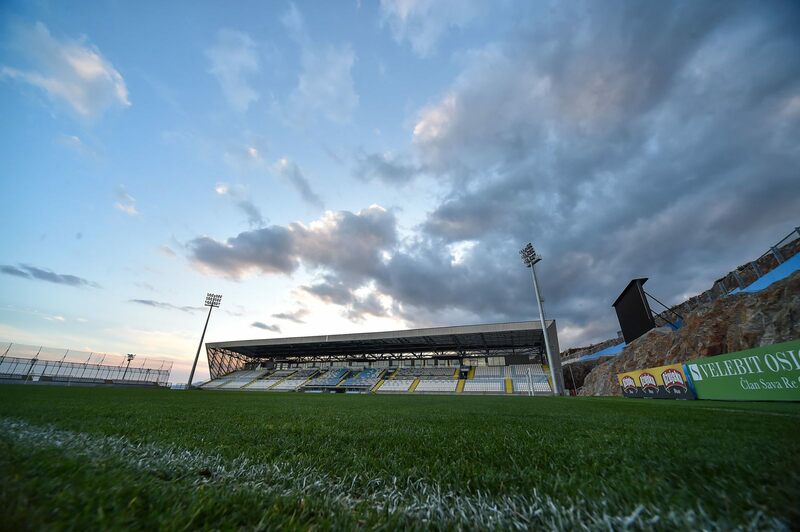 With reconstruction of the old Kantrida stadium being delayed, Stadion Rujevica became the temporary home of HNK Rijeka, meeting basic needs of the club. 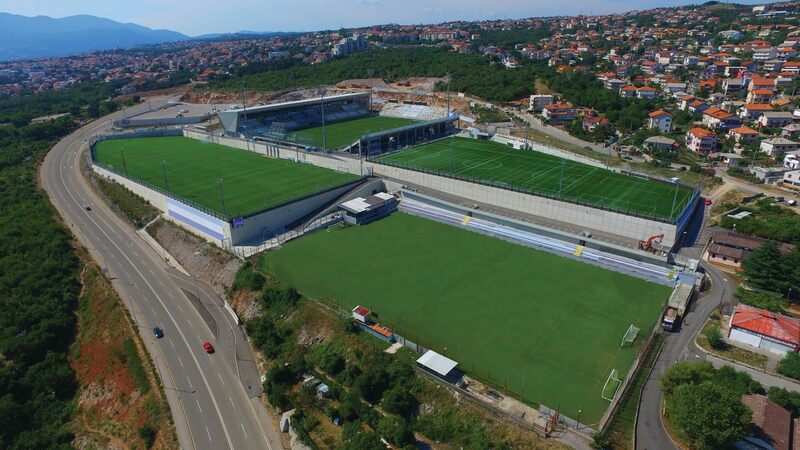 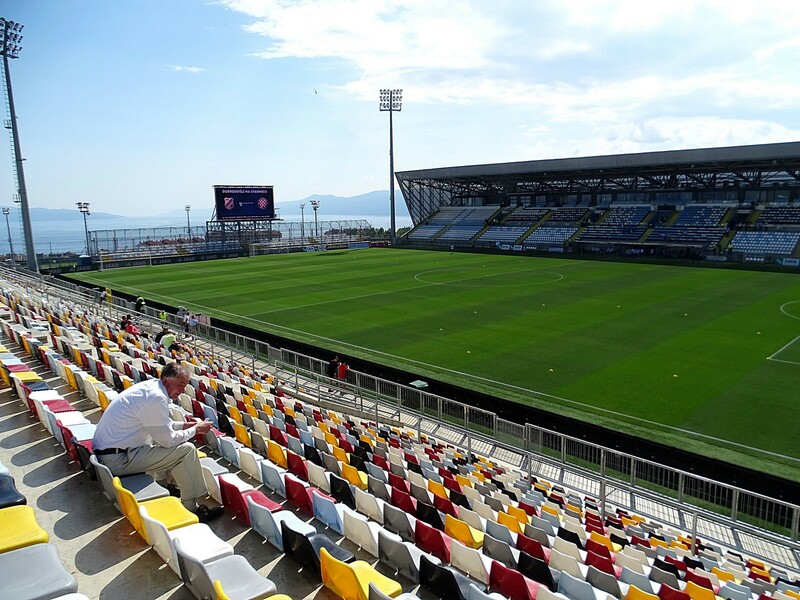 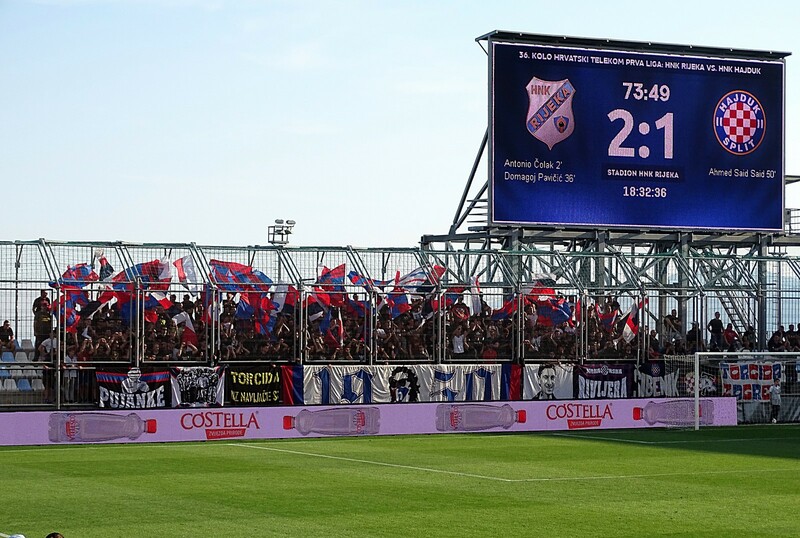 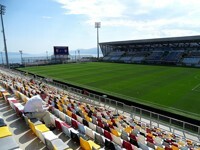 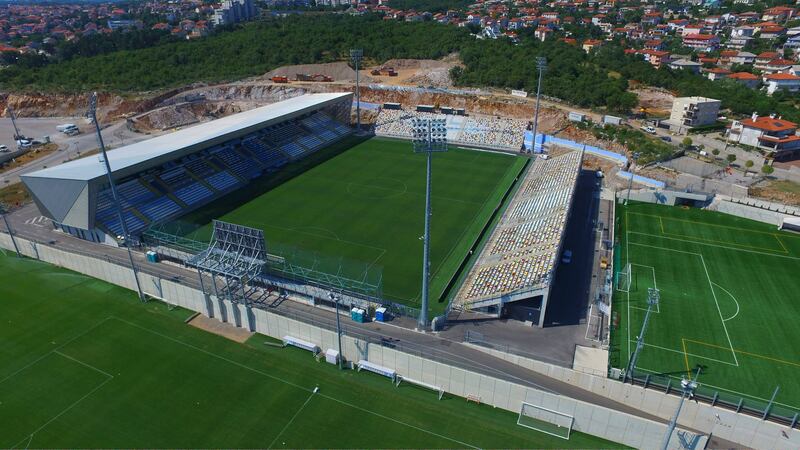 After HNK's first ever championship of Croatia in 2017, the stadium was expanded to just over 8,000 in order to meet UEFA Category IV requirement and be allowed to host potential Champions League games. 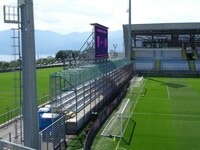 The grandstand was delivered in just 72 days. 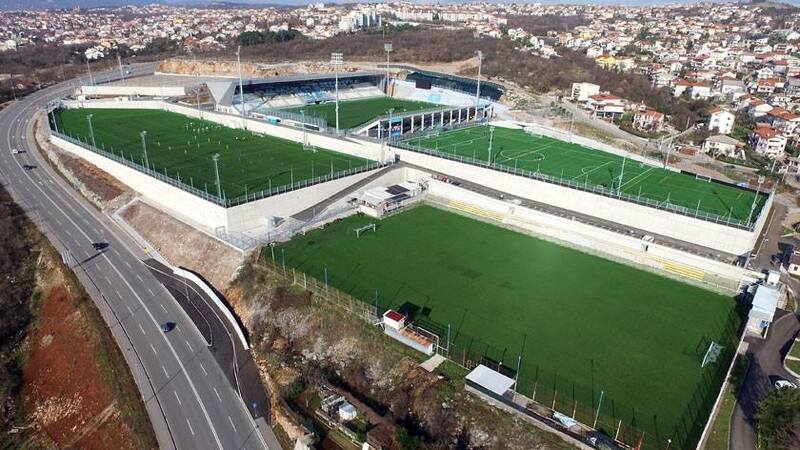 29.03.2019 Zagreb: New stadium in just 2 years? 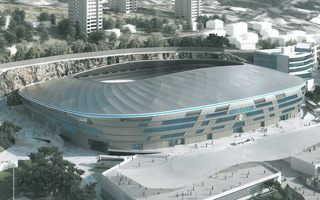 They may be global vice-champions, but still don't have a decent stadium in their capital. 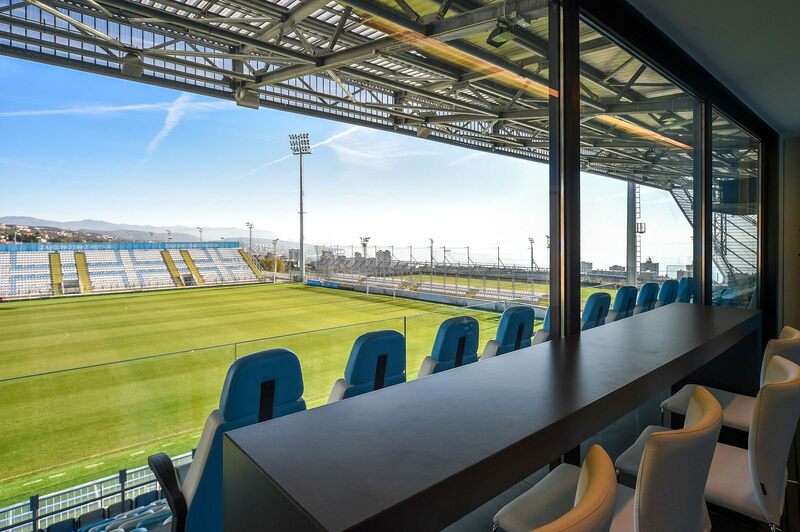 Even more, the sanitary conditions at current Maksimir are mocked by Croatian FA president as “19th-century”. 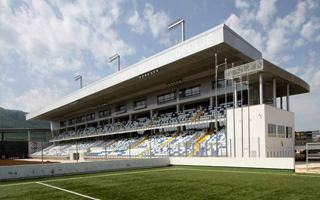 But, once more, there is a plan to change things. 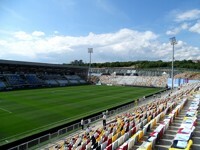 Very quickly.